10 Putney by Sofia Zinovieff (Harper) – This atmospheric story about the long-unfolding after-effects of a buried family secret is softly cumulative in the ways it leverages involvement in its main characters. It's a multi-layered story performed entirely in adult registers, free of both easy answers and pat endings. 9 Demi-Gods by Eliza Roberts (Bloomsbury) – This amazing debut novel about a young woman's coming-of-age is likewise refreshingly free of heavily-Workshopped narrative condescension, but the main attraction of this book is its language: every sentence is cutlery-sharp and glinting. Like a number of novels on the 2018 list, this is at heart an amoral book … but all the more mesmerizing for that. 8 The Line That Held Us by David Joy (Putnam) – An accidental murder and a panicked cover-up kicks off this novel set in small-town Appalachia, and all of Joy's narrative strengths are on full display: his sentence-level Spartan eloquence, his perfect ear for pacing, and most of all his complicated and low-key moralism. 7 Phone by Will Self (Grove Press) – In this brick-thick work of daunting formalistic innovation, Self tells the story of a fraying mind, a reputation undergoing self-destruction, and a world (first small-scale but then steadily wider in scope) undergoing a fundamental change in what technology means. Much has been said in 2018 about “difficult” novels, and the year presented no more difficult novel than this one – but the payoffs are worth the challenges. 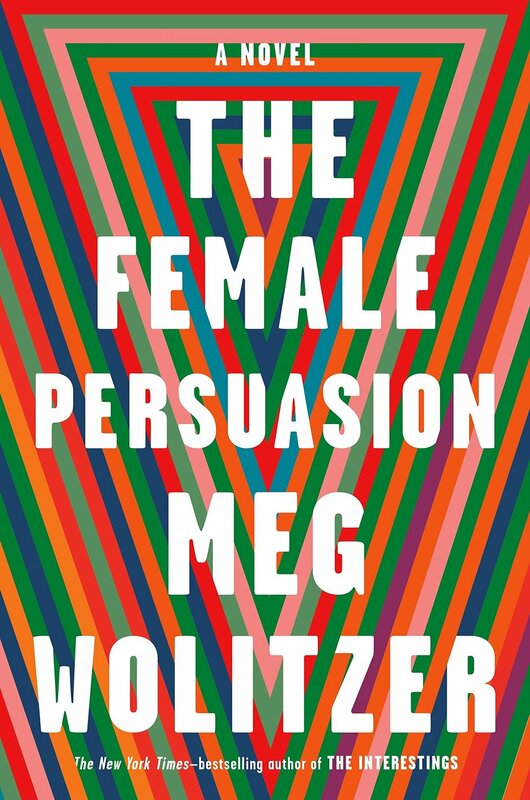 6 The Female Persuasion by Meg Wolitzer (Riverhead Books) – Wolitzer continues here in the same powerhouse register that made The Interestings so irresistible, in a story that gives readers one of the most complex and convincing depictions of female mentor/protege relationship (warts and all) in recent fiction. 5 Transcription by Kate Atkinson (Little, Brown) – The simple premise here – a young woman working cryptology for the British government during the Second World War and encountering double-dealing – is a delightful distraction from the far deeper twists folded under the surface of this novel, and yet the brilliance of the plotting is equalled on every page the human drama. 4 Country Dark by Chris Offutt (Grove Press) – Offutt's first novel in well over a decade is a stark arresting work revolving around a young man returning to his rural Kentucky home after the Korean War and trying – against a steadily-increasing collection of obstacles (and the steadily-tightening noose of the tragedy that looms over the whole book) – to make a life for himself. 3 Killing Commendatore by Haruki Murakami (Knopf) – This big novel about a young painter suddenly cut adrift from the life he's known is a daring collage of themes ranging from meditations on art to the nature of loneliness (and the loneliness of artistic inspiration), and it remarkably reinforces and adapts many of Murakami's familiar fixations and makes them feel new. 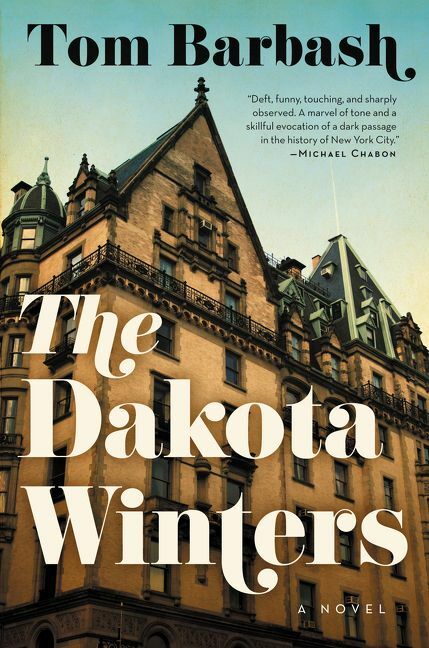 2 The Dakota Winters by Tom Barbash (Ecco) – At heart, this novel about a son returning in 1979 to the iconic title apartment building where he grew up, is an even stronger entry in the crowded category of father-son books even than Paul Goldberg's terrific The Chateau from earlier this year. Barbash works every scene and every encounter to whittled perfection – the whole thing is indelibly moving. 1 The Overstory by Richard Powers (WW Norton) – Sometimes novels need time to work, months to settle and unfold after being read, and in 2018 no novel demonstrated this for me more than this big book by Richard Powers, the best novel of the year. It's a dozen different things – a climate change novel, a fantasy novel, a protest novel – but ultimately, it's an enormous and stunning story of personal redemption.